March 18 – Sean M. Gibson, 19, of Columbia, was arrested for possession of cannabis and possession of a hypodermic syringe on East Walnut Street at North Main Street. March 19 – Joe M. Freeman, 31, of Bourbon, Mo., was transported from Crawford County, Mo., and arrested for aggravated battery following a Feb. 14 incident that occurred on the Quizno’s parking lot. Michael Vogt, 37, of Imperial, Mo., was arrested for DUI and illegal transportation of alcohol on Admiral Trost Boulevard. Nathaniel P. Posey was arrested on multiple in-state warrants. March 24 – Robert A. Stone, 62, of Waterloo, was arrested for DUI, no insurance and improper lane usage on Route 3 southbound at Route 158. Debby C. Griffin, 50, of Waterloo, was arrested for DUI, speeding, expired registration and failure to signal on Route 3 north- bound at Hillcastle Lane. Ryan P. Hamilton, 38, of Columbia, was arrested for domestic battery on Rockhampton Drive. March 18 – A report of possible identity theft is under investigation involving taxes falsely filed using the social security number of a resident on Golden Eagle Lane. This is the third such report of this nature filed in recent weeks by a resident of Monroe County. March 19 – The theft of two hunting bows, a tree stand and other items from a truck parked on Country Club Lane is under investigation. March 22 – Charles Hutchcraft, 49, of Waterloo, was arrested for DUI, disobeying a stop sign and illegal transportation of alcohol on HH Road at Briar Creek Lane. 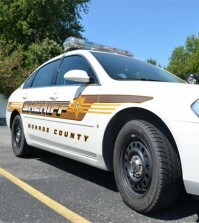 March 23 – Bethany Wagner, 34, of Red Bud, was arrested for DUI, illegal transportation of alcohol, speeding and failure to dim headlights on Route 159 at Roscow Road. March 24 – Sheila M. Henkel, 30, of Silex, Mo., was arrested for felony unlawful participation in methamphetamine manufacturing and possession of meth precursors following an Oct. 1 incident. 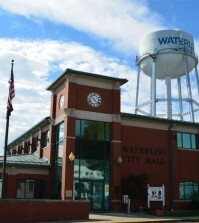 March 18 – Matthew Rautman, 28, of Waterloo, was arrested for violating an order of protection. March 24 – Rance Leistler, 26, of Waterloo, was arrested for DUI on Route 3 at Marketplace Drive.